This document is intended to inform you about the ways we handle your Personal Data as well as to ensure you they are of the utmost importance for us therefore we constantly protect them. Our employees treat your Personal Data complying with the applicable legislation of Austria and the EU. To ensure we always handle your Personal Data in the best and most secure way possible, our IT systems and processes are being regularly revised by external professionals. Being fully aware of the fact, your Personal Data do not represent our property, we truly appreciate the trust you have put in us through sharing them with us. Whether we obtain them from public sources or you entrust them to us, we always inform you about this fact. In case we wanted to use your Personal Data for other purposes than those stated here, we would ask for your consent with such Personal Data processing (lacking other lawful basis). We would like to be sufficiently transparent with you, therefore we inform you about who can access and process your Personal Data, who may contact you for the purposes described below. The data controller administering your Personal Data within the territory of Austria is SAMI International, Frömmlgasse 31, 1210 Vienna, Austria. We never proactively disclose your Personal Data. Your Personal Data remains completely safe with us. If we need to transfer your Personal Data to another recipient, we will inform you of this fact and always seek your consent prior to transferring your Personal Data. What happens if you don’t provide us with your Personal Data? Should such a situation arise, we will not be able to conclude a contract with you and/or provide you with our services. The Personal Data entrusted to us, as well as the ones obtained from the public sources remain under constant physical, electronic and procedural control. We ensure maximum possible protection of the processed data by using the frontier control, technical and security mechanisms, efficiently preventing your Personal Data from any unauthorized access, transfer, as well as their loss, damage or other potential misuse. In order to be able to offer you our service, we do have to handle your Personal Data, therefore a majority of processing operations is based on the contractual terms agreed by you and SAMI International. There are other types of Personal Data, we may use only based on your freely given consent, which does not affect the other services we provide for you. Certain requirements are also set by the legislature – we also process the information required by the laws of Austria. Should you wish to assert your rights, you can contact us via email office@sami-international.com or you can also visit or write to us at the above-mentioned address, and we will gladly handle all your requests immediately. All legal relationships following from or relating to the Personal Data processing shall be governed by the legislation of Austria, regardless of where they were accessed from. 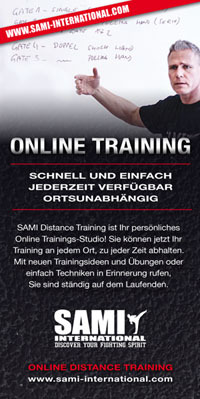 Any potential disputes arising from the privacy protection between you and SAMI International shall be referred to and resolved by the Austrian courts under the Austrian legislation. We may and will regularly amend the text of this Privacy Notice document. We will notify you in advance of any such change by email at least 30 days before the change takes effect. This Privacy Notice shall take effect on May 25th, 2018 and was lastly updated on May 18th, 2018.